“Takes on the World” WZYX public radio program broadcast on 9/8/2010. Host Jeffrey Blankfort interviews Grant F. Smith on the public radio program “Takes on the World” about newly unsealed Senate Foreign Relations Committee files investigating the Israel lobby. 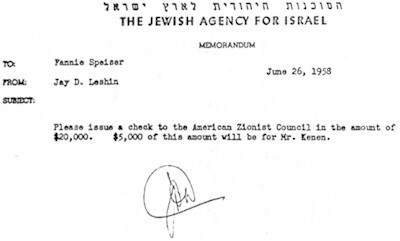 The documents reveal quarterly $5,000 payments ($38,000 today) from the Jewish Agency to AIPAC for the lobbying newsletter “Near East Report” and illegal foreign funded covert actions designed to permanently undermine American free speech. Brilliant! Thanks so much for this mine of information.